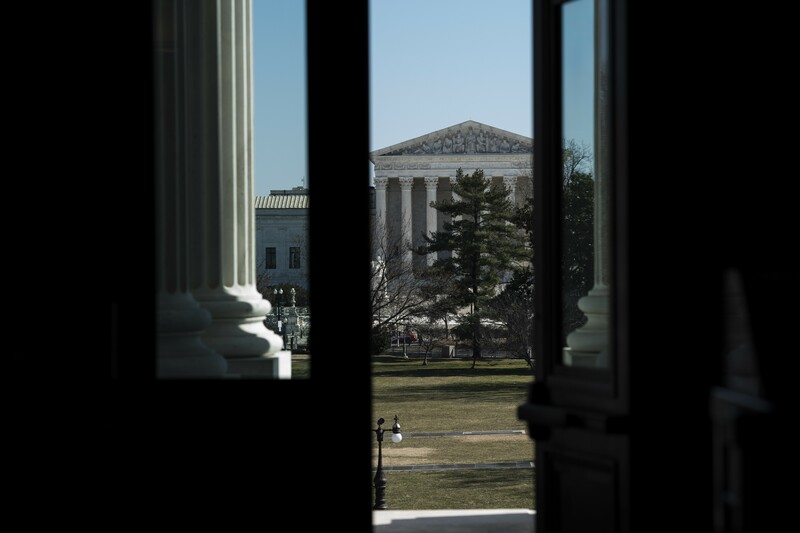 The U.S. Supreme Court seen from the U.S. Capitol building in Washington, Feb., 28, 2019. The Court returns to the subject of partisan gerrymandering on March 26, considering for a second time in two years whether drawing election maps to help the party in power can ever violate the Constitution. WASHINGTON — The Supreme Court returns to the subject of partisan gerrymandering Tuesday, considering for a second time in two years whether drawing election maps to help the party in power can ever violate the Constitution. The court will also hear arguments in a second challenge, this one from North Carolina Democrats who said the state’s congressional map yielded a 10-3 Republican majority despite very close statewide vote counts. A ruling that limited partisan gerrymandering could transform American politics, reshaping House maps in several states, often but not always to the benefit of Democrats. But Kennedy’s replacement by Justice Brett M. Kavanaugh makes such an outcome less likely, election law experts said. Indeed, the court could rule that the Constitution imposes no limits on the practice.